How To Make Delamere Easter Chocolate Nests. My children love making chocolate covered crispy cake and today I am sharing a Delamere Easter Chocolate Nests recipe with you. Have you every made chocolate crispy cakes with Shredded Wheat? They make the perfect nest’s style buns. A traditional favourite, chocolate nests are popular with all the family, all year round, but especially at Easter! 1. Line a 12-hole fairy cake tin with paper cases. 2. Melt the chocolate, golden syrup and butter in a bowl set over a pan of gently simmering water. Stir the mixture until smooth. 3. Remove the bowl from the heat and gently stir in the shredded wheat until all of the cereal is coated in the chocolate. 4. Divide the mixture between the paper cases and press 3 chocolate eggs into the centre of each nest. Chill in the fridge for 1 hour, or until completely set. How yummy do these nests look? Also perfect for sharing at Easter too. This is a great recipe to get your children helping you out with the baking. My daughter loves to help me make sweet treats. Takes after her mum with a sweet tooth!? 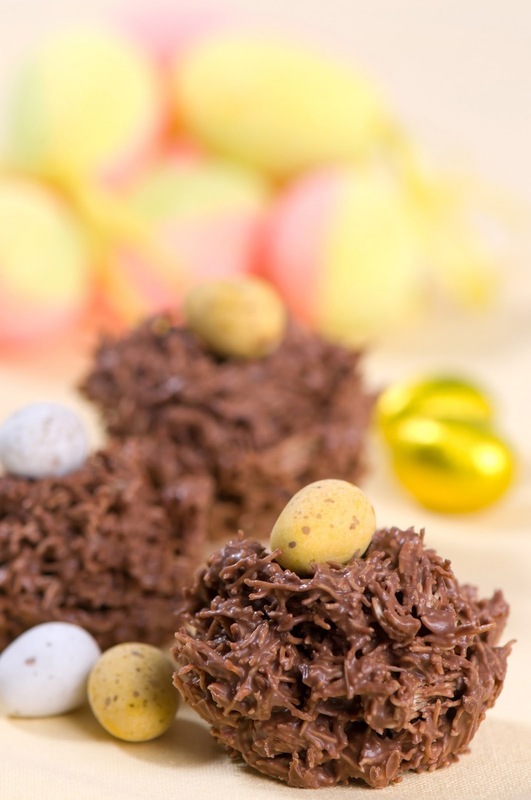 Fancy making some of these Easter chocolate nests? Let me know if you do in the comments below. Make now and pin for later. 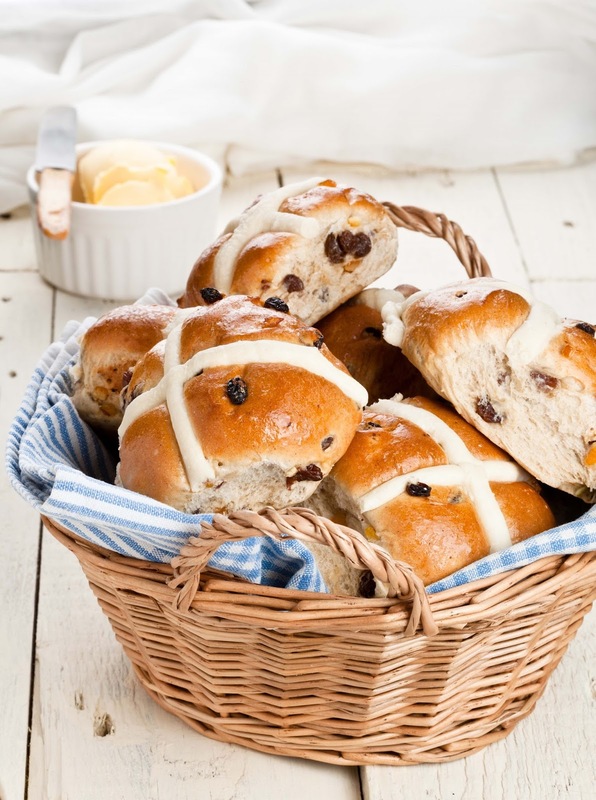 How about making your own Hot Cross Buns as well!? Perfect served up in a nice Easter Basket. We love them for breakfast. My daughter likes her’s cold and I like mine toasted with strawberry jam on top. Are you planning any Easter baking? What kind of treats and cakes do you like to make at Easter? How To Make A Simnel Cake For Easter. How To Make Delamere Spiced Easter Biscuits. "How To Make I Heart Prosecco Merlot Wine Infused Meringue"
"How To Make A Simnel Cake For Easter"
I've never seen goat's butter in the markets here. I'm thinking it could be substituted with regular butter? This looks like a delicious Easter treat and it's been pinned to the Merry Monday Link Party board. Thanks for sharing it with us.